Microsoft is making all the right moves – but will 'freemium' be an issue? Can Redmond successfully adapt to the modern software world? Microsoft is a company in flux. Under the leadership of Satya Nadella, the ways of the old firm – i.e. the ways of Ballmer – have gone, or are disappearing, producing a company that is far more nimble and ready to do business in the 'new world'. 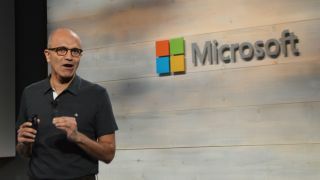 Gone is the intense focus on Windows (for desktop) and Office at the cost of everything else, replaced by the 'cloud first, mobile first' approach of Nadella, ensuring that Microsoft doesn't fall behind as it did post-2007. Because of this renewed focus, Microsoft is having to answer some pretty tough questions that could, if not handled correctly, be big trouble for the software giant. One of them, of course, is what happens to Office in a world where the main distributive channel is no longer the PC and customers are not willing to pay hundreds of pounds to obtain a license. Software no longer comes on a CD that is bought in a shop but instead from the internet, and Office is managing this transition in a way that is totally new to Microsoft. Unlike Apple or Google, which make money from things that are not (productivity) software – hardware in Apple's case, advertising in Google's – Microsoft has to manage its core services very carefully. Office 365, released in 2013, is an attempt by Redmond to bridge the gap between what it's selling – in this case Office – and how people now purchase software, i.e. downloaded from the internet, with a price-point to match. A few years ago, Office-as-a-product came in a box and cost a lot of money. Microsoft's ability to do this, and it did so for many years, was down to its monopoly on the distribution of software, driven by the company's total dominance over what software people used. Everybody had a PC and so everybody used Windows and, as such, everybody used Office which was the only productivity software that mattered. Then, in 2007, the landscape changed and people no longer exclusively used Windows and its related products. Because Microsoft didn't control the dominant operating system that people used anymore – at least outside of work – its ability to sell software to complement the OS slipped somewhat, leading to the rise of iWork on iOS and Open Office on Android, amongst other examples. Luckily for Microsoft its grip didn't slip that much, predominantly because Office is ubiquitous in the workplace. The most worrying trend for Microsoft is that because Office is now associated with the workplace, people are not willing to pay for it elsewhere and this has led to a new avenue for Microsoft: freemium. When it debuted, Office on iOS was free to download but required an Office 365 subscription for anything beyond the most simple of tasks (viewing documents, essentially). A little over a year after it was released, Microsoft relented and relaxed the need for a 365 account, opening up all but the most high-end features for free. A recent article by the Economist pointed to a quote by Rick Sherlund of Nomura, an investment bank, who speculated that Microsoft's new services and products – such as Cortana or HoloLens – will eventually overtake Windows and Office as the cash cows that it so desperately needs.